That’s what the Pope had to say as he issued yet another call for Europeans to welcome every single African and Asian that has the desire to immigrate to a Western country. I’m not a Catholic so I’ve never been particularly concerned with the Papacy’s position on anything, but it annoys me to no end that this jerk continues to provide a religious stamp-of-approval on the World Elite’s desire to replace the native populations of what was formerly known as Christendom. I mean really? So the only way to be a good Christian is to let anybody who wants to come into your house and eat your food and sleep in your bed to do so? Well then count me out. The Washington Regime is funding both the Kurds and Free Syrian Army in their efforts to overthrow the main enemy of ISIS, Bashar al-Assad. You can read through the Reuters link for all the details, but my question is this: Did Hillary and Obama intend for Syria to descend into a five year long chaotic civil war? Or did they actually think that throwing money at whatever rebels they could find back in 2012 would actually lead to some sort of Western friendly democratic regime taking power in Damascus? Either way, I’m sure they’re pleased with the results. Israel’s happy. Their stated goal has always been to remove Assad by any means necessary. Saudi Arabia’s happy. They want to smash the Allawite regime that’s ruled Syria for decades and replace it with a Sunni Islamic State (ISIS?). And of course there’s a new refugee crisis that allows them to flood Europe and eventually North America with Muslim Arabs. Both the Labour party in Britain and the Democrat party in the US have openly bragged about how a more “diverse” electorate favors them and allows them to consolidate power. They may have overplayed their hand at this point as we see the rise of populist politicians on the Right throughout Europe and the US, but don’t expect them to question their policy. They will just double down. And don’t expect the Paul Ryans or David Camerons of the world to stop them. The center-right party establishments in all Western countries seem to favor endless immigration for a combination of reasons. They’d rather “serve” in government as the minority party than question the Leftist diversity dogma or put a dent in the cheap subsidized labor favored by Big Business. Taxes: As far as I can tell, Trump’s basically an old fashioned Northeast Rockefeller, Limousine Republican when it comes to taxes. So my best guess is a slight reduction on income taxes and maybe a lower Corporate tax. The difference will probably be made up through tariffs or fees of some sort. I don’t see any real improvement here, but Democrats as a rule always want to raise taxes everywhere and anywhere. So Republicans, whether Trump or McCain or Romney or whoever, get the nod here as being the lesser evil. Spending: This is a tough call because Trump makes a lot of crazy promises about building walls, and I think he mentioned increased military spending in one of his rants. He’s running what amounts to a sort of right wing populist campaign, and part of that entails promising to keep the gravy train flowing for entitlements that are popular among middle class whites like social security and medicare. So I’d have to assume spending will continue to balloon out of control during a Trump administration. But again, just look at the alternative. Has Shillery ever found a welfare program or a weapon or a foreign government/rebellion she didn’t want to fund with the money Washington loots from its subjects? If you want spending to grow less fast, then Trump is your man. 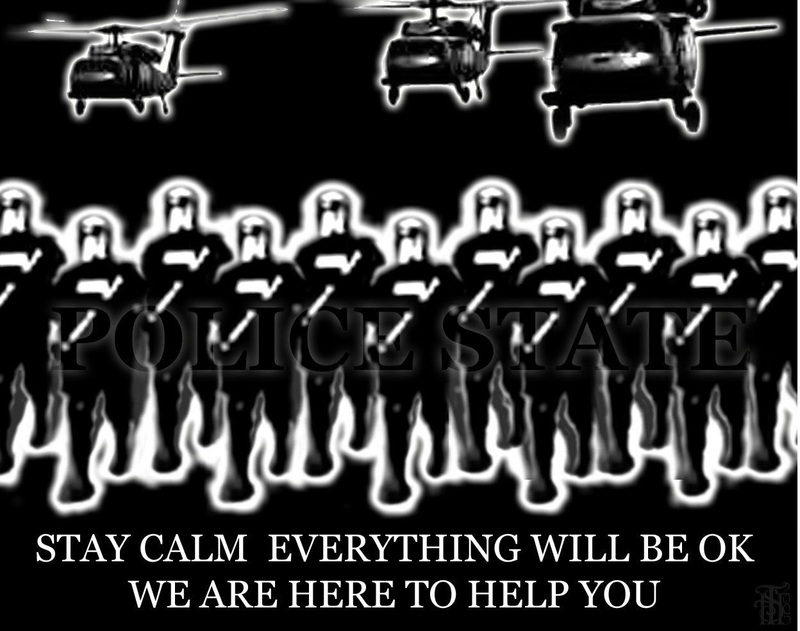 Police State: They’re both horrible. They both favor a giant police state. I’m still giving a slight edge to Donald Trump because at least he’s not threatening to disarm us. He’s also less likely to start wars which the government always use as an excuse to clamp down on dissent and increase surveillance. Culture/Education: Trump’s a loud obnoxious vulgar clown. But I do applaud his efforts to reduce the effect of political correctness on our lives. Hilla the Hun on the other hand seems like she’d continue down the path of the SJW takeover of our entire educational system and media. Dare to criticize a minority? Refuse to bake a cake for a LGBTQRSTUVWXYZ wedding? Say something nice about a dead white male? Not on Hillary’s watch! Immigration: I know many so called “left libertarians” will disagree with me here, but I’m in favor of a massive reduction in immigration to the United States. Sure, if we had no welfare and the regime respected property rights 100%, we could have open borders. Hell, there would be no reason for any border in the first place and the regime in DC would have no reason to exist or any way to fund itself. Yay! But that’s not the world we live in. Current US immigration policy is to import as many people as possible from anywhere on the planet and force us all to subsidize it. Obomber even bombed the hell out of a few formerly respectable Arab countries to encourage the survivors to leave and move here. I don’t know about you, but I can do without a “Little Mogadishu” or a “Little Honduras” sprouting up in my town. Or are you a half-libertarian, half-SJW who thinks you can give some Salvadoran peasant a copy of The Road to Serfdom and get him to vote for Gary Johnson? Trump wants less immigration. He actually seems naive enough to think the US government should take care of people form the US rather than the people from Central America. To be clear I don’t favor his promise to round up and deport millions of people already here, but I certainly would support cutting off any federal benefits they receive as well as efforts to reduce the numbers coming in. Hillary wants more immigrants, she wants them to eventually vote Democrat, she doesn’t care what local communities think about it, and she wants to force American tax victims to pay for it. Foreign Policy: Killery is probably tied with John McCain for the most unhinged warmonger to ever win a major party’s nomination for president. The last time she pretended to disapprove of a war was over 40 years ago and no one had heard of her yet. Oh, and she pretended to regret supporting the Iraq War for a brief period in 2007-08 I think. But other than that has there eve been a war she didn’t want to plunge America into? She badgered her husband into intervening in the Balkans and bombing Serbia. Not to mention the periodic bombing of Iraq in the 1990s and the sanctions that killed half a million children. She voted for Bush’s Iraq war. Supposedly “serving” under the weak kneed Obama, she masterminded the Libyan disaster. She got the US to help finance the Syrian mess that continues to this day. She’s probably more responsible for the rise of ISIS than any other person outside of the Muslim world. She let her underlings overthrow the Ukrainian government and ruined that country. She compared Putin to Hitler (as if Putin’s responsible for as many deaths as she and her husband are). This is a woman who would probably consider an actual war against Russia just to overthrow the Syrian government or prop up some unpopular regime in Georgia or Ukraine. And don’t even get me started on her obedience to Israel. Trump is far from perfect. He’s consistently threatened to “smash ISIS” whatever exactly that means. And he’s pledged allegiance to Israel. But he’s wholeheartedly condemned the recent wars in Iraq and Libya. He’s questioned the need for NATO. He’s repeatedly come out against Nation Building and unnecessary wars in general No matter how bad he turns out to be on Foreign Policy I am 99.9999% sure he’d be less bad than Hitlery. Conclusion: I can’t say I’m an enthusiastic supporter of Donald Trump. Even with my low expectations it’s certainly possible he could still disappoint a libertarian who is feeling any sympathy for his candidacy. But on every issue, Hillary Clinton is the antithesis of everything a freedom loving American should believe in. Unfortunately my prediction is Hillary will win (or possibly steal) the election. But hey, maybe I’m wrong. I thought Trump would be out of the GOP race in February.